Deep tissue massage is a type of massage which reaches structures far beneath the superficial fascia to attempt to relieve chronic muscle problems or injuries. To add on to dictionary.com’s simple definition: deep tissue is typically performed very slowly and the therapist may use fingers, knuckles or elbows. It is normal to feel some pain during deep tissue but I always advise my clients that it should be a “good pain” and never reach above a 7 on a 0-10 pain scale. You should be able to keep your muscles relaxed and breath through the pain to work with your massage therapist to release muscle tension, scar tissue, tight fascia and bound muscle fibers. If you are tensing against the pressure the massage becomes counter productive. When you have an injury that is past the acute phase and is no longer sensitive to touch, you may also want to get permission from your doctor before getting deep work on a recent injury. Chronic pain may be crying out for deeper work, specifically if the affected area has an underlying deeper issue. Other situations may be appropriate for deep tissue massage as well, if you think it is right for you discuss your options with your therapist. You might feel a little sore, tired or even kinda grouchy after a deep tissue massage, especially if it has been a while since you got bodywork. I had a client tell me once that she went home after a 90 minute deep tissue treatment and got into an honest and heated discussion with her husband about some things that had been bothering her. I hope this doesn’t detour you, I tell you this because it is important to understand what is happening to our bodies. Massage, in general, releases things…what those things are can be debatable, but my personal belief is that the release happens on many levels. Keep in mind that every person is different and many people leave their deep tissue treatment feeling a profound sense of relaxation. You should communicate with your massage therapists during all massages but especially during deep work. If you feel any kind of sharp pain or if your pain level goes above that 7, becomes a “bad pain”, it is up to you to let us know. Don’t worry, your therapist will appreciate you letting them know! Our desire is always to help and never harm! Remember that no type of massage is a magic pill or a one time fix. If it took a while to create the problem it will take a while to make it go away. Regular treatments are almost always the best way to go, if you are curious about how often you should get massage check out our blog post on that very subject HERE. A conversation with your therapist about your specific needs and goals is always a great idea! We need to know the whole story so that we can best accommodate your particular situation. We also love the opportunity to help you set realistic goals and expectations for your treatment plan. It may be that massage alone won’t get you to where you need to be, consider a team to help you reach your goals, but in the end we trust that you know your body and can make the best decisions for yourself. Please don’t take pain medication before a massage, it inhibits your body’s ability to tell you when deep pressure has gone too far. Choose a focus area for your deep tissue massage and keep in mind that your therapist will spend most of their time there. Depending on your requests, treatment plan and the therapist’s preferences you may get 30+ minutes of deep tissue work focused on a particular area and relaxation work elsewhere for balance. If you have more than one focus area for deep tissue work you should book longer sessions or more sessions closer together. “I said my upper back between my shoulder blades and spine is hurting, why is my therapist working on my chest muscles?” Your massage therapist has spend hundreds of hours in classrooms learning all sorts of amazing things about the body as well as much more time beyond that learning from experience. When they address an issue they will likely approach it from many angles, this includes working on all the muscles directly connected to the area you have complained about. In this instance the pain near the shoulder blade may be caused by shortened muscles in the front of the body. This is why your therapist might work in an area beyond your original complaint. If you feel uneasy about any work your therapist chooses please speak up and let them know, we are always happy to chat with you about your treatment plan. “My therapist charges more for deep tissue work, why is this” Deep tissue work is more taxing on the therapist due to the fact that it requires strategic thought and planning as well as a more athletic positioning of our bodies. Most therapists charge a little extra for these reasons but the benefit you receive is worth it! Deep tissue massage is pretty awesome, it can help you find freedom from chronic pain and recent injury as well as help you feel a deep sense of relaxation, but it is not for everyone. 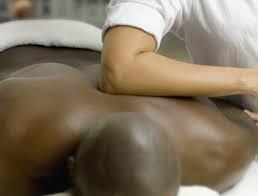 If you aren’t certain deep tissue massage is for you it is a good idea to ask your therapist. We can always try a small amount of deep work to see how it effects you before you commit to a full session. Have more questions? Leave them in the comments or email me at wonthebody@gmail.com. Thanks so much for reading and have a great week!